Success came too early for the Strokes. The band’s first studio album, Is This It, is widely considered to be one of the most quintessential indie rock records of all time. Musical kingmakers like NME heralded the leather-clad quintet as the saviors of the entire rock genre. In an era marred by Linkin Park and Nickelback, the Strokes provided the soundtrack for the drunken heydey of an entire generation of now-nostalgic twentysomethings. What more could they achieve? The threat of great expectations colored their next few albums. Sophomore record Room on Fire certainly had a handful of gems in the Strokes’ signature style; First Impressions of Earth had fewer. 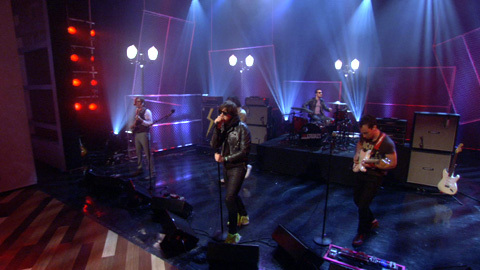 Disagreements often cropped up between the members, particularly against lead singer Julian Casablancas. In 2009, Casablancas noted to British daily The Sun that “a band is a great way to break up a friendship”. Demise seemed certain. However, the band still owed two records to RCA, the label that won them in a bidding war during their prodigal days. The Strokes halfheartedly released Angles in 2011 and Comedown Machine in 2013, both to lukewarm reviews (at best). Their early days – immortalized in the carefree exuberance of Is This It – seemed to be gone forever. It is into this complex atmosphere that the band released the Future Present Past EP. 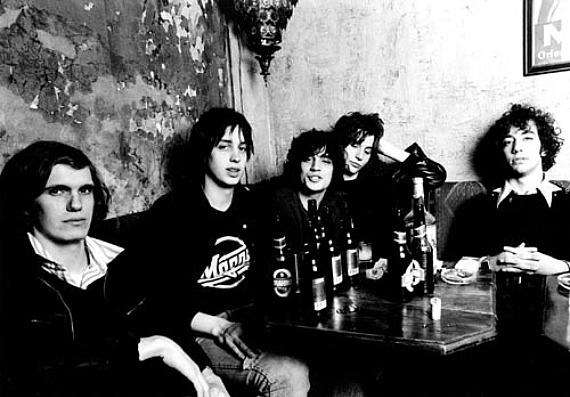 Over a media-heavy two days in late May – uncharacteristic for the infamously aloof band – the Strokes released the four songs that make up the band’s first EP since January 2001. Finally unburdened from RCA’s stifling contract, the Strokes have breathed fresh air into their stagnant career. “Drag Queen” is a dense piece driven by Nikolai Fraiture’s sludge-like bass line, almost reminiscent of mid-career Killers. The lyrics, oblique as with most Strokes songs, seem to hint at an anti-capitalist stance (“I don’t understand your fucked-up system, messing up the city/Try to sell the water, try to sell the air”). Could it be a message to RCA and the music industry? “OBLIVIUS” hits closer to the band itself. “Untame me, it’s not my midnight yet” sings Casablancas on the opening line, speaking to the band’s fresh start after the five-record albatross. Musically, the song would fit right in on Room on Fire: not as crisp as their first songs, but certainly as driven by a clean click track. The song also features two enmeshed guitar pieces – one soaring, one pulsating – bedded under Casablancas’ condenser croon: all vintage Strokes. The EP also includes drummer Fabrizio Moretti’s remix of “OBLIVIUS”, wherein an electronic version of the bass line and guitar riffs are brought to the fore, atop a flattened version of Casablancas’ vocals. However, “Threat of Joy” is the song that completely revives the Strokes. Nick Valensi and Albert Hammond Jr trade simple, crunchy guitar riffs over Moretti’s clean drums – straight out of Is This It. Casablancas opens the song with a Lou Reed-esque drawl but moves into an early 2001-version of himself, his voice filled with more joy than we’ve heard in years. “Place your bets this time/Just has to let it ride,” he ventures, perhaps talking of their newfound freedom. If you loved Is This It, you will love this song: it’s right up there with “Someday” or “Hard to Explain”. In a way, Future Present Past is perfectly named. The three songs present a condensed version of the Strokes’ repertoire: from the unadulterated, old-school perfection of “Threat of Joy” to the soaring complexity of “OBLIVIUS” and finally to the more arcane “Drag Queen”. Unencumbered by record companies and with absolutely nothing to prove, the Strokes have all the choice in the world. We’re excited no matter what they do from here. In 2011, an impeccable ensemble of talented musicians contributed to a Strokes tribute album, entitled Stroked, to commemorate the ten year anniversary of Is This It?. Also in 2011, the Strokes released their fourth studio album. Wrap your head around that for a second: the Strokes elicited this voluntary, collective homage despite being a band that is young enough to add fresh material to its own discography. There are very few bands as iconic, as beloved, and as representative of a time and place in music history – while being fully functional – as the Strokes are. So how do you react when a vintage-yet-active band releases new music? Well, it depends on what kind of Strokes fan you are. Cooler than you’ll ever be. In 2001, the Strokes released an album that changed the face of music. Is This It? was and continues to be a flawless record, pushing thousands of kids into their garages to create bands that would never be as cool as Julian and the boys. But in a way, the very kids that played the Strokes’ debut all day every day made it rather difficult for the Strokes to move on as a band. Any deviation from ‘the quintessential Strokes sound’ was denounced; any song with more effort than ‘effortless’ was deplored. Synths? Forget about it. (I’m looking at you, Angles.) “All the Time” is definitely no “Hard to Explain”, “Reptilia” or even “You Only Live Once”, but it has that undeniable, wholly inimitable Strokes vibe that’s sure to satisfy the most ardent of fans. In fact, it almost sounds like it could be wedged right into Is This It?, and that’s always a good thing. If you didn’t spend the better part of your musically formative years analyzing every trough and peak of the Strokes’ debut, then you are going to like this song. Why? Because even if you’ve only heard a few of their songs, even on a bad day, even on a weak track, the Strokes are effortlessly cooler than anything you’re going to hear all day. On “All the Time” , the uber fan might think that the outro is too long, or that Julian’s voice isn’t crisp enough, or that the guitar solo lacks the sheen of the old days. All you’re going to notice, though, is how great this song is. Enjoy! Watch the following videos, and please let us know if you don’t convert to Type 2 or even Type 1. … we could go on. Five long years passed between their third and fourth albums; just over two years will transpire between the fourth and the fifth. “All the time that I need is never quite enough/ All the time that I have is all that’s necessary,” sings Julian on “All the Time”, and we couldn’t be happier about that. Long story short, drop whatever you’re doing and listen, because the Strokes have released a new track. 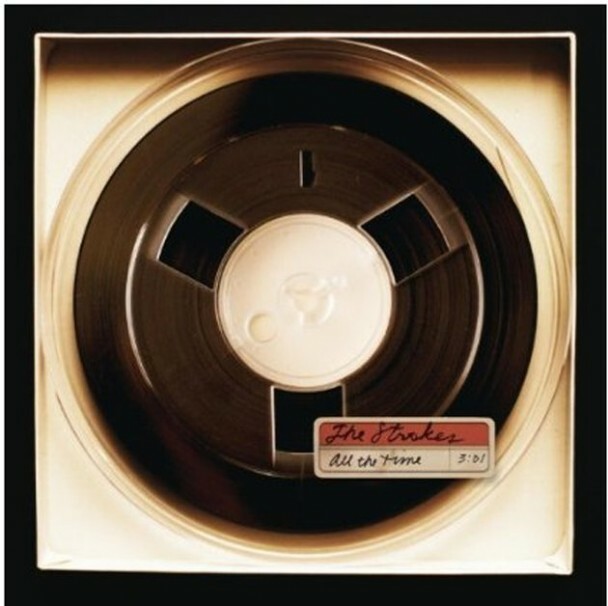 “All the Time” is the first single from the Strokes’ fifth studio album Comedown Machine, releasing on March 26th, 2013. You can listen to the song (with lyrics!) here.